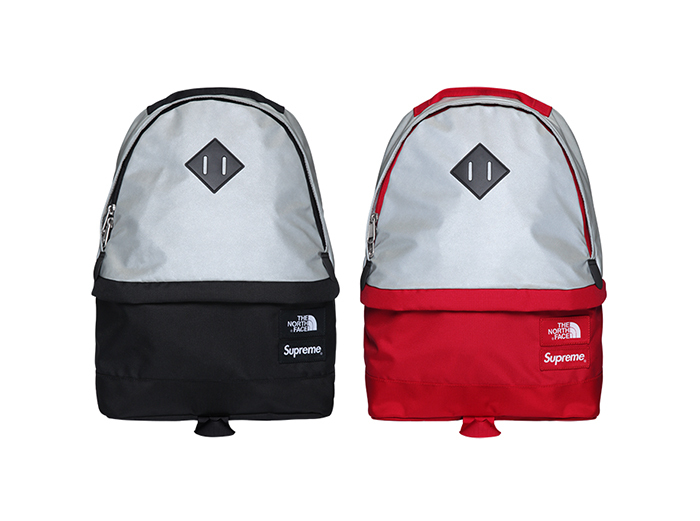 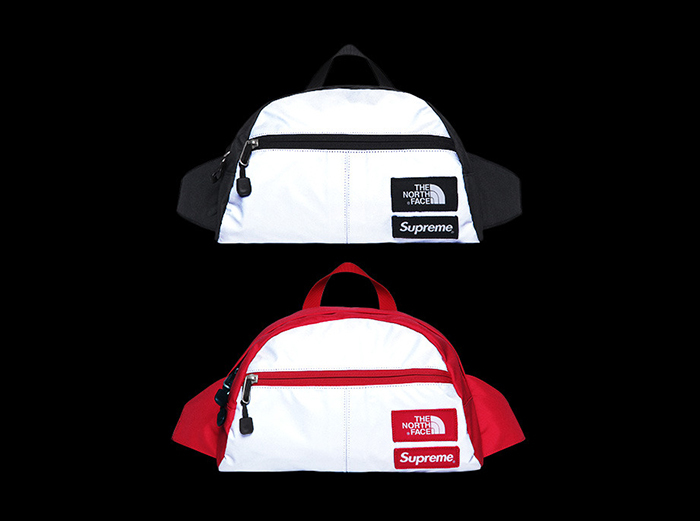 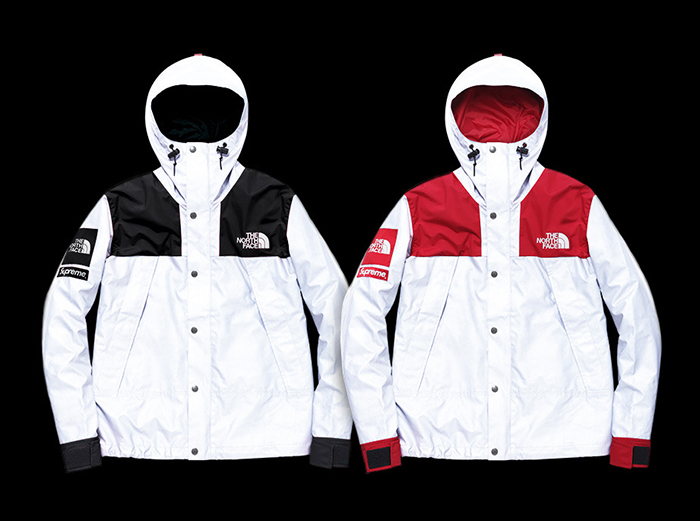 Supreme and The North Face continue their ongoing partnership with the announcement of this 3M® covered capsule collection for Spring 2013. 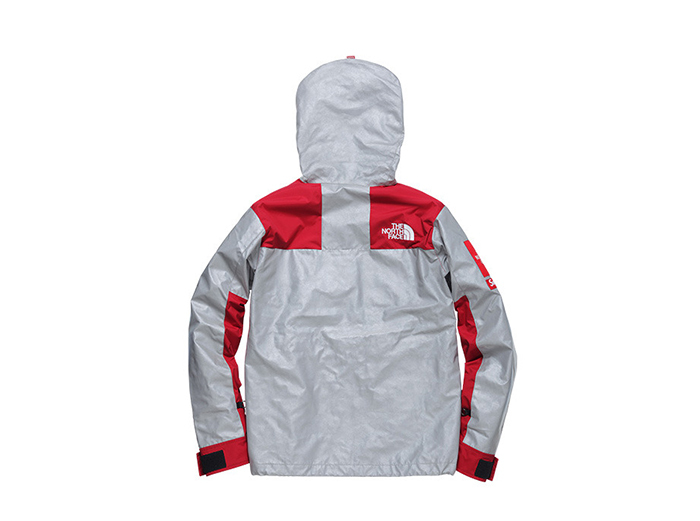 Reflective jackets seem to be on the up, mainly thanks to Nike braving it with their Podium Jacket for Team USA for the Olympics last year. 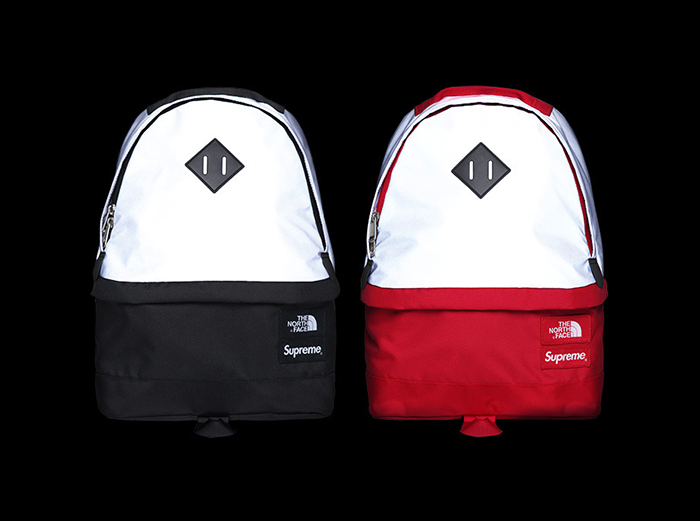 Here we see Supreme continue to take The North Face products and take them well out of their normal comfort zones. 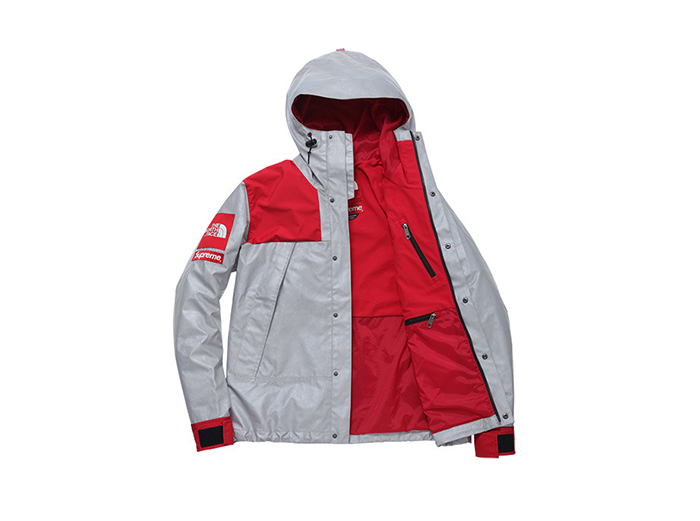 Coloured shoulders, branding, underarms and cuffs are the only things on these jackets that haven’t seen the 3M® treatment, with the majority of the body becoming a beacon when light hits it. 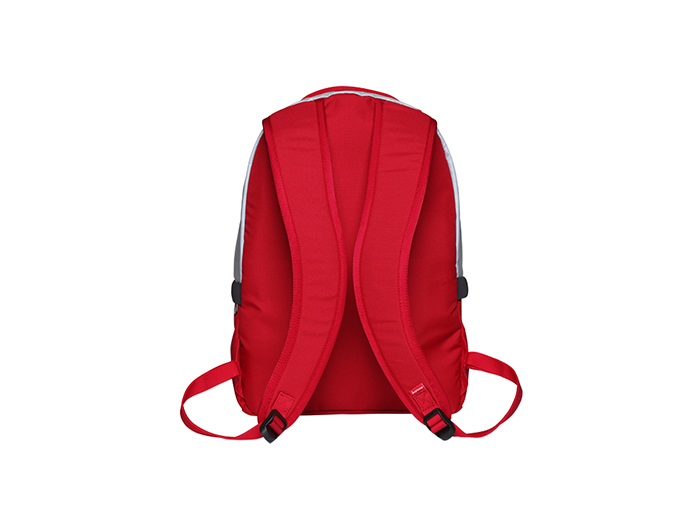 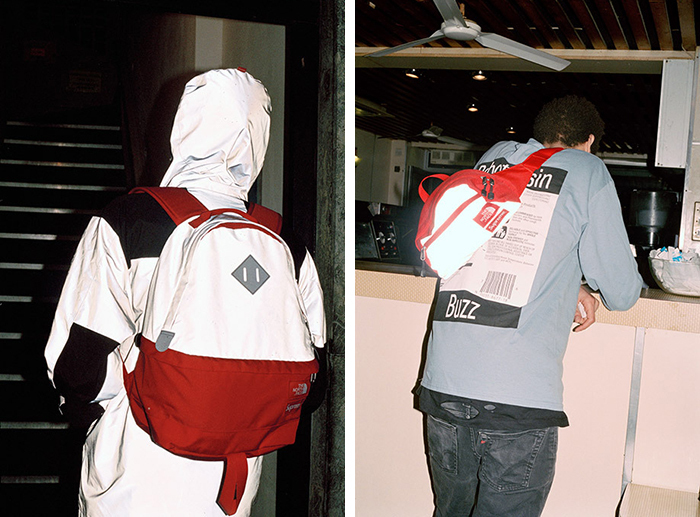 The luggage takes the same creative direction, coating a backpack and bumbag in the same 3M® and the same black or red colour splashes. 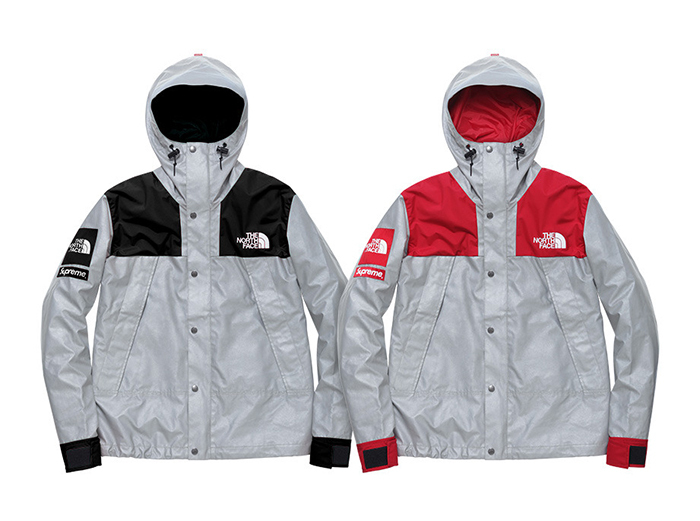 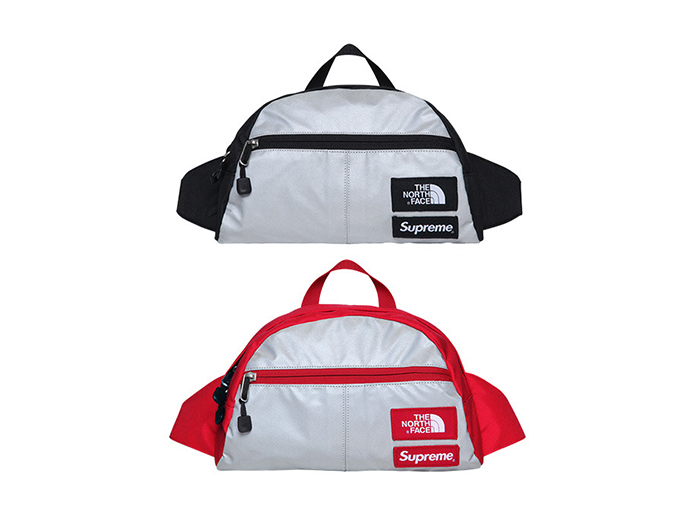 It’s nice to see Supreme returning to more simple design directions with their The North Face collaborations, even if they are predominantly reflective, after a few seasons of heavy pattern abuse. 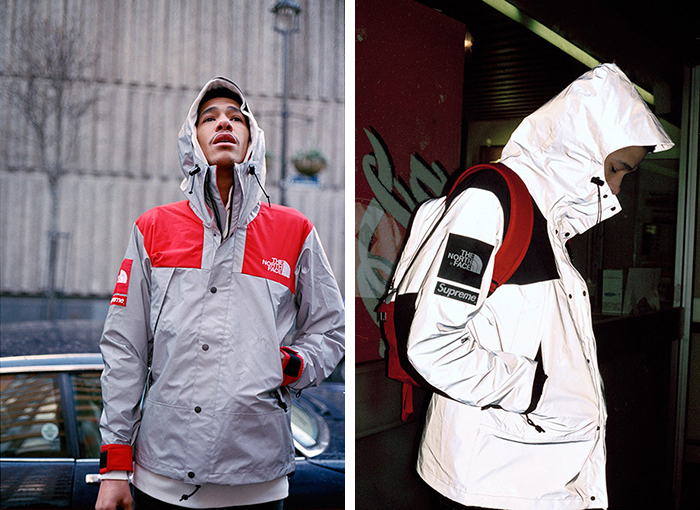 The collection lands at the Supreme London store on Thursday 4th April.